Most people have their furnaces cleaned regularly; however, very few people think of the clothes dryer in relation to appliance maintenance. According to the National Fire Protection Association over 15,000 dryer fires are reported each year. Failure to clean the dryer vent and duct system is the cause of most of these fires. Believe it or not, your clothes dryer is more likely to cause a fire than your furnace or stove! Dryer Vent Wizard recommends annual dryer vent cleaning. Besides being a fire hazard, improper dryer venting also poses a carbon monoxide risk. The dryer vent system removes gas by-products from your home if you have a gas dryer. 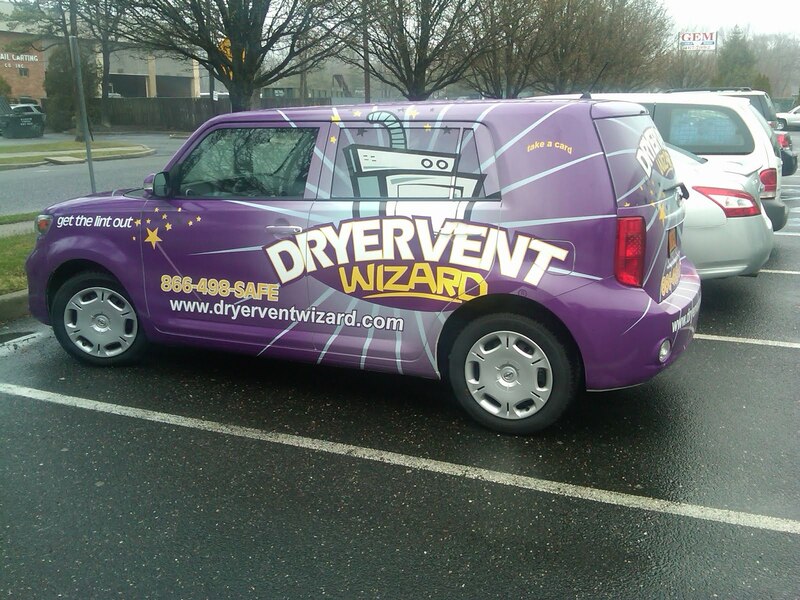 Dryer Vent Wizard recommends a complete inspection of your dryer vent system to be sure it is functioning safely. When a dryer vent and the dryer ducts are clogged with lint, air flow is restricted, causing your dryer to work harder and use more energy. This creates higher utility bills and a greater chance of the appliance breaking down. Appliance repairs and/or replacement can be expensive. You can prolong the life of your clothes dryer with proper dryer vent cleaning and maintenance. 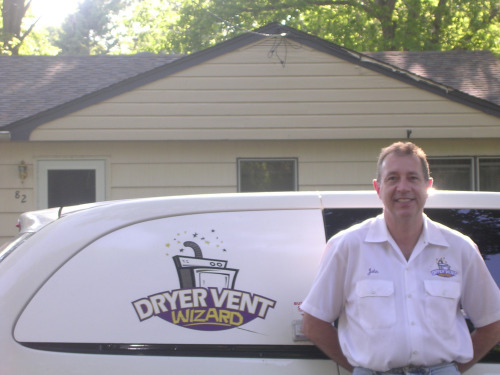 Dryer Vent Wizard provides dryer vent cleaning, maintenance, repairs, installation and dryer vent inspections for homes and businesses in your area. A clothes dryer fire is caused by lint build-up which restricts airflow and leads to overheating. Dryers produce a lot of lint and simply cleaning the lint screen is not enough. Though the lint filter catches most of the lint, some will escape and end up in the dryer vent system. The dryer ducts remove lint and moisture from your clothes; the moist lint doesn’t always make it to the vent outside of your home. It can stick to the sides of the ducts where it builds up and eventually dries to a hard paste. This hard paste attracts more sticky lint, eventually creating a blockage which can cause a fire. Underwriters Laboratories is an independent product safety certification organization that has been testing products for safety for over a century. Dryer Vent Wizard will inspect your dryer vent system to be sure it meets UL Safety standards in your community. It used be that most clothes dryers were in the basement, on an outside wall, with a relatively short, straight vent to the outdoors. These days many newer homes tend to have their laundry area located away from an outside wall; some are on the second floor. This means dryer vents are much longer and contain some elbows and bends where lint can accumulate. They’re also harder to reach therefore more difficult to keep cleaned. The ideal dryer vent system is short and straight. Dryer Vent Wizard has special tools for reaching the hard to get to places. Dryer ducts should be made of rigid or semi-rigid metal, not the flexible foil or vinyl type that was used in the old days. The flexible vinyl type of tubing crushes easily and restricts air-flow. Dryer Vent Wizard professionally installs semi-rigid metal dryer vent systems in homes and commercial buildings. Dryer Vent Wizard does not advise use of sheet metal screws when attaching multiple sections of vent pipe together. They use foil tape instead to eliminate protuberances that cause obstructions where lint can accumulate, eventually leading to a restriction which hampers dryer vent cleaning and allows lint to build up. Few people are aware that the dryer vent screen should be washed thoroughly with warm soapy water every few months to remove residue build up caused by dryer sheets. It is actually possible for the lint screen to have so much build-up on it that it will hold water! This definitely restricts air flow and causes the dryer to take more than one cycle to properly dry a load of clothes. Birds have been known to build nests in dryer vents which prevent lint from escaping. Bees, wasps and hornets nests have also been found in dryer vents. Dryer Vent Wizard recommends annual dryer vent cleaning and regular inspections to be sure the dryer vent system is free of clogs. 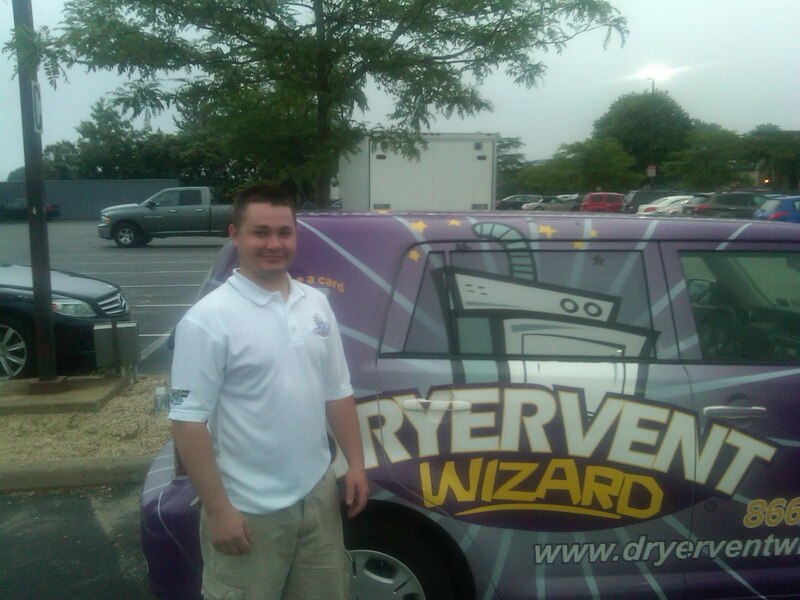 Dryer Vent Wizard of Connecticut is the dryer vent cleaning and repair expert to call for service. The service call is very little compared to the loss of your home or the lives of you and your family if you should experience a clothes dryer fire. Dryer Vent Wizard of Long Island, NY provides dryer vent cleaning, dryer vent repair, dryer vent installation, dryer vent inspections and all dryer vent services for homes and businesses in Nassau County, Glen Cove, Great Neck, Westbury, Syosset, Hicksville, Levittown, Hempstead, Wantagh, Freeport, Long Beach, Valley Stream, Suffolk County: Coram, Hampton Bays, Centereach, West Babylon, Stanton, Sag Harbor, Southampton, Queens County: Flushing, Hamilton Beach, Jamaica, Terrace Heights, North Corona, Elmhurst, Utopia, Edgemere, Fort Tilden, Roxbury, Bellaire, Kings: Brooklyn, Park Slope, Bushwick, Canarsle, Flatlands, Bath Beach, Gravesend, Brighton Beach, Fort Hamilton, Bay Ridge, Greenpoint, New York County, Manhattan and neighboring cities and communities.